Last night I had the freaky little dream. 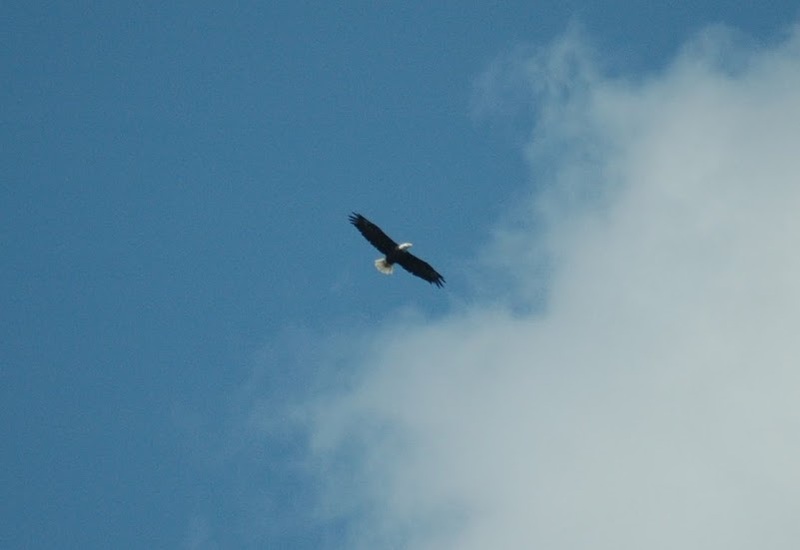 I must have been thinking of yesterday’s post about the Juvenile bald eagles I saw because I dreamed that high in the air above me was soaring an adult bald eagle with a very distinct white head and tail. For a moment I was sure that I was actually outside in a field somewhere. The sky was bright blue in the background (yes, I think I do dream in color), and the body and wings of the eagle were a chocolate-brown. Then it registered. The shape of the wings, and I knew it was just a dream. Bald eagles do not hold their wings the way this bird did, not in a full soar, not while flapping against a headwind, not while diving for a fish, or mating in mid-air. The shape and position were completely wrong. A real bald eagle has long, plank-like wings that have a very straight leading edge, as in the pictured here. But the bird in my dream had its tail feathers fanned widely out like a cooper’s hawk, and its wings were swept forward like a red-shouldered hawk. I lay there thinking, “Well, isn’t that queer? I guess I’m having a dream.” Then instantly I awoke to see, Milton the cat staring at me by my pillow, politely awaiting my journey to the kitchen for coffee at which time I always fill his feed dish. So, because I like to connect the un-connectable, I thought today would be the perfect day for a poem about a man who traveled, collected data, drew and painted and eventually inspired the work of folks like Roger Tory Peterson, creator of the bible of birding identification, the Peterson Field Guide to Birds, and eventually people like Pete Dunn who’s book Hawks in Flight taught me exactly how an eagle holds its wings in flight. Of course a lot of those things you learn by observing, like they did, but Pete showed me what to look for. 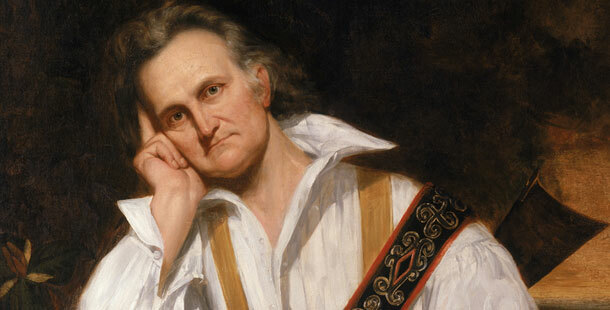 John James Audubon was born on April 26th, 1785, so we’re a bit early in celebrating his birthday, but after all the poets whose birthdays I let slip by in March, it’s probably best I get on this early and talk about him now. 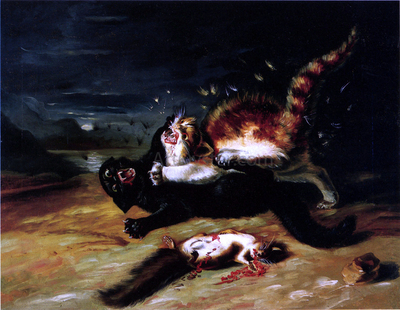 This poem was written by Stephen Vincent Benét, Pulitzer Prize winner and author of “The Devil and Daniel Webster” and “The King of Cats.” Speaking of Cats, did you know that Audubon also had sketched and painted cats? Yeah, his wife Lucy couldn’t quite believe it either, and as my friend Ricky says in the comments below, this poem is probably more about her than about him anyway. Lived to look at birds. To the Great Horned Owl. Patched them up with care). Saw them sing and splash. Kissed her queer John James. Watching this Cluzaud documentary is the closest I’ve ever come to birding. As a result, I don’t dream about eagles, of any sort, realistic or otherwise. Probably also as a result, I see the Benet poem as primarily about Mrs Audubon–she seems more fully realized to me than he does. The portions about him tend to elide the subject of the verbs, so he disappears, while Benet repeats her name over and over again, insisting on her presence, however parenthetical she may have seemed. I haven’t watched that documentary, but I’ll give it a look. These are wonderful and astute observations about the poem. I love it when a post gets you talking like this. 🙂 Very smart to make the parenthetical person in the poem the real subject, isn’t it? I wonder if it was Benet’s original intention, or if his writing got away from him, as if so often does to others. I don’t know. She doesn’t show up for several stanzas, so maybe it was something that developed? I love the fact that you just clicked Like on this recently. I also like to reread journal entries, and the comments and conversations they lead to. (hug) I hope you’re well. I like your reading …. a sense of fun in your voice. Very nice. I’m glad to hear that! There was just a twinge of worry at first about whether or not I was giving was being too playful at first, but I think it works. And tying this in with Ricky’s comment, in which it seems that Mrs. Audubon is the real subject of the poem, it still leaves him likable, maybe lovable even, if enigmatic. It is enough that she loved him and was devoted, despite what the poem presents so well as eccentricity. And so we come to like her, and if she loves his queer ways, it’s easier for us to do so. Sometimes the seemingly “light” poems give the greatest depths of human understanding. I may not fit into my hat tomorrow if you keep this up. But seriously, I do put some thought into these. Sometimes too much, but in light of my belief that poetry is meant to be spoken, even if only in a whisper sometimes, I kind of have these theories, that whether the poet would read it the same way or not, the way it goes on paper is some indication of how the poem should sound. So affirmation like this really does mean a great deal to me. I’m glad I pulled it off.